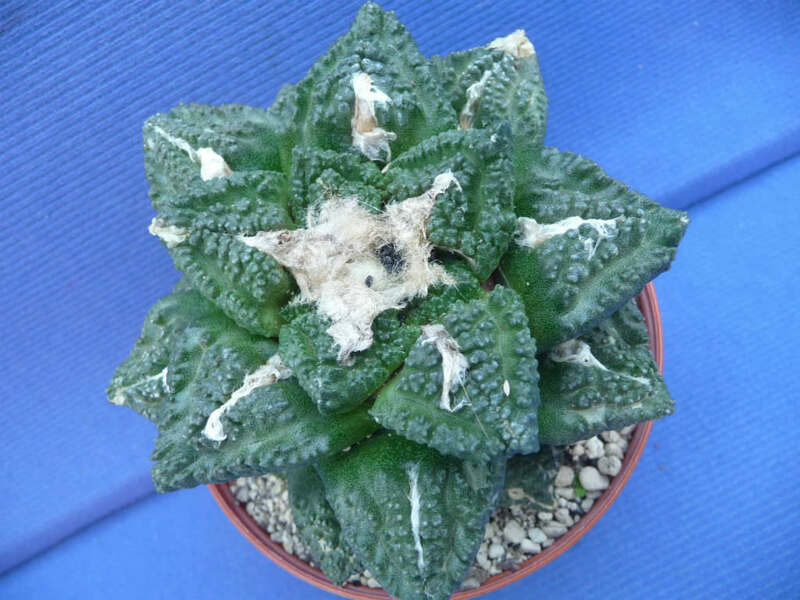 Ariocarpus fissuratus ‘Godzilla’ is odd plant with strongly structured surface. 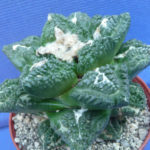 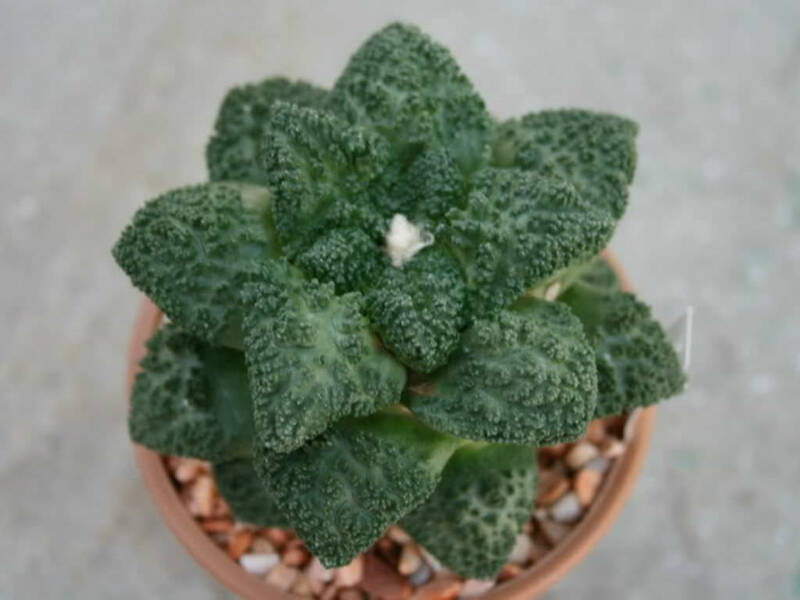 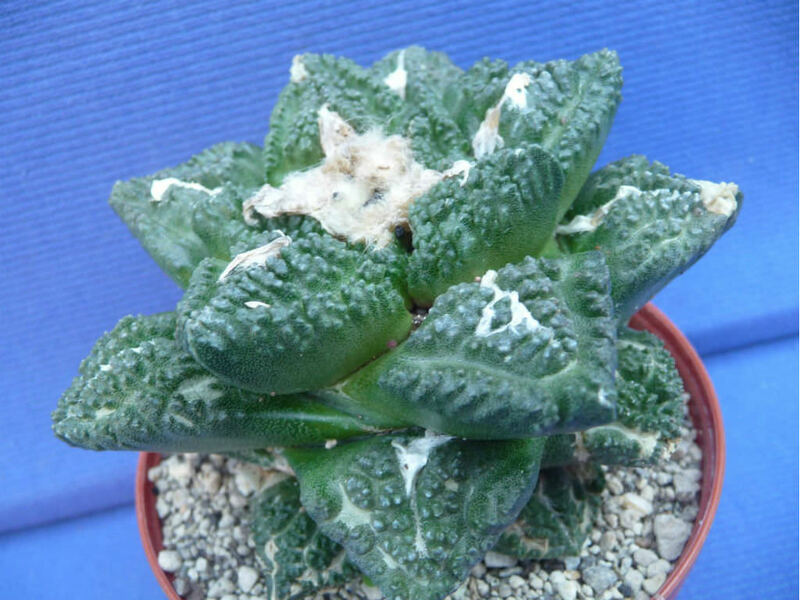 It has been probably developed by Japanese growers from Ariocarpus fissuratus, and there are several slightly different types. 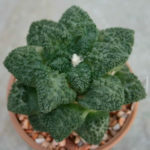 The strongly structured surface and the deep color of the plants are typical, but greener or woollier plants are in the variation range of this cultivar. 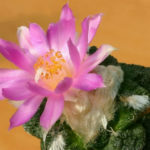 This cactus has a woolly crown, from which emerge (from October to November) bright pink-violet flowers up to 2 inches (5 cm) in diameter. 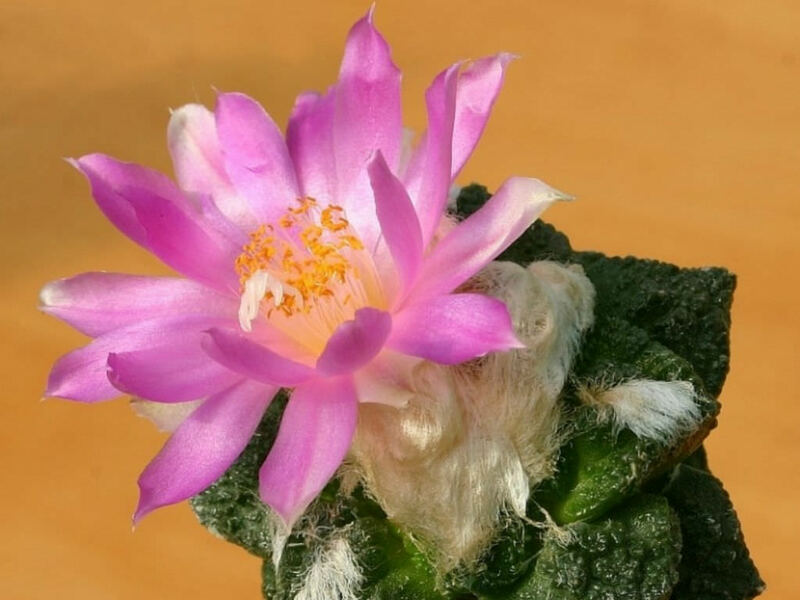 Flowers last for 3 to 4 days.